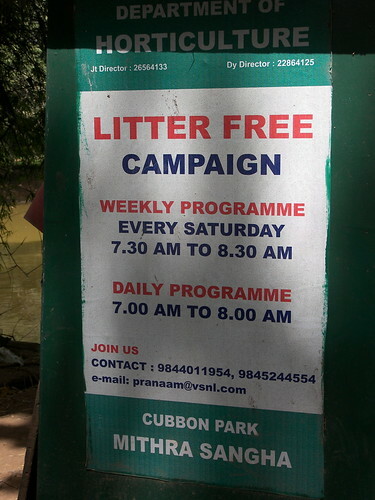 Join Cubbon Park Mithra Sangha – Be friends with Cubbon Park!! There’s more to namma Bengaluru, we have many names for our city of Bangalore, be it Garden city, Pub city, IT city but the very essence of Bangalore remians the same. The city has not changed but its people and the perceptions definitely have. One of the famous places here has been Cubbon Park, the place that acts like a much needed lung space for the city. That now needs you! !